What a treat! 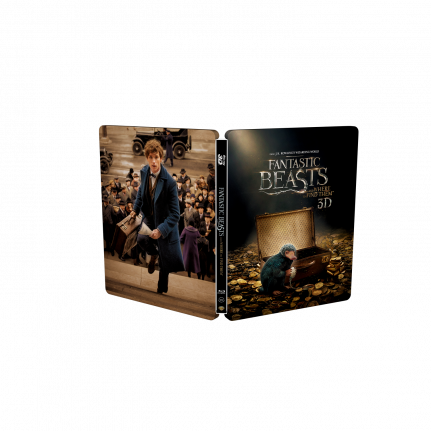 The international SteelBook® edition of Fantastic Beasts and Where to Find Them has a beautiful spot gloss, which makes the golden coins and title treatment shiny! On the back Newt Scamander gets extra focus with the glossy shine. This edition includes a 3D version of the movie! You don’t want to miss the extra material such as; “Before Harry Potter: A New Era of Magic Begins!”, Characters: Cast and crew discuss costume, and journey in the film, an inside look at the construction, detail and design and much more!